HollimanNet: And the Hits Just Keep on Coming! 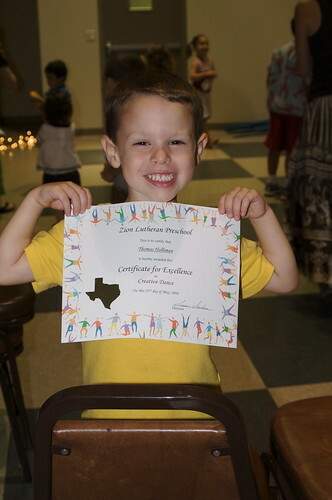 Last night was the second night of Creative Dancing, starring Thomas and his class. Movers and shakers at the Holliman residence. HH needs a bit more 'esplainin' on the concept of creative dance, as his technique is strictly just counting 1-2-3 and at times, 4. I remember buying Jennifer a 45 rpm of the Cotton Eyed Joe, and having to put a piece of masking tape on the side that had the "B.S" lyric. The one side she played on her Fisher Price record player didn't have the Honky Tonk version.